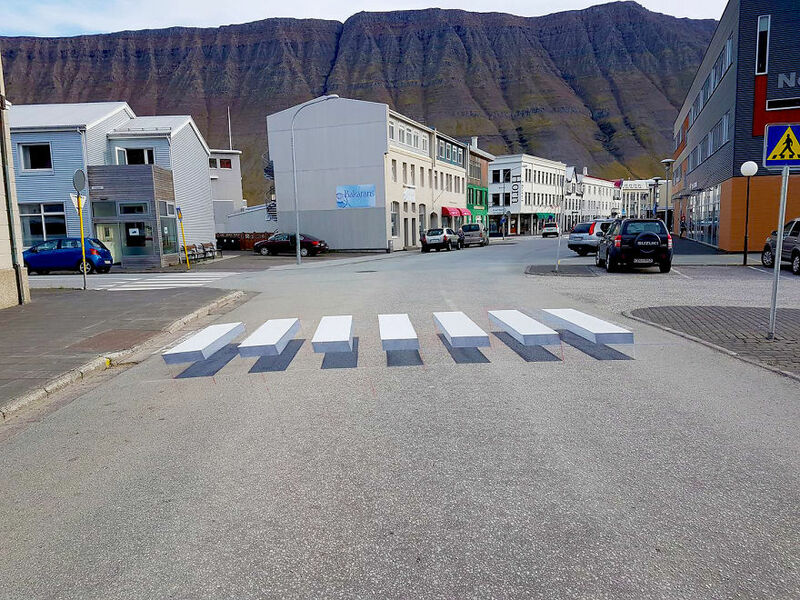 In the small fishing town of Ísafjörður, Iceland, an exciting development in road safety has just popped up – almost literally. 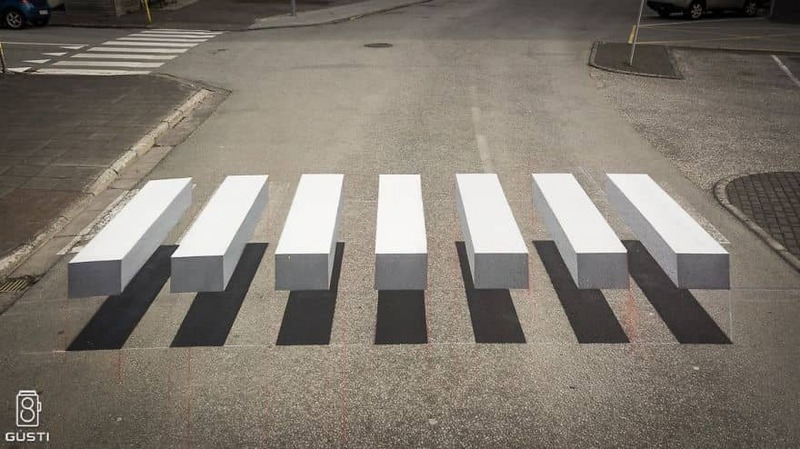 A new pedestrian crossing has been painted that appears to be 3D by way of a cleverly-detailed optical illusion. 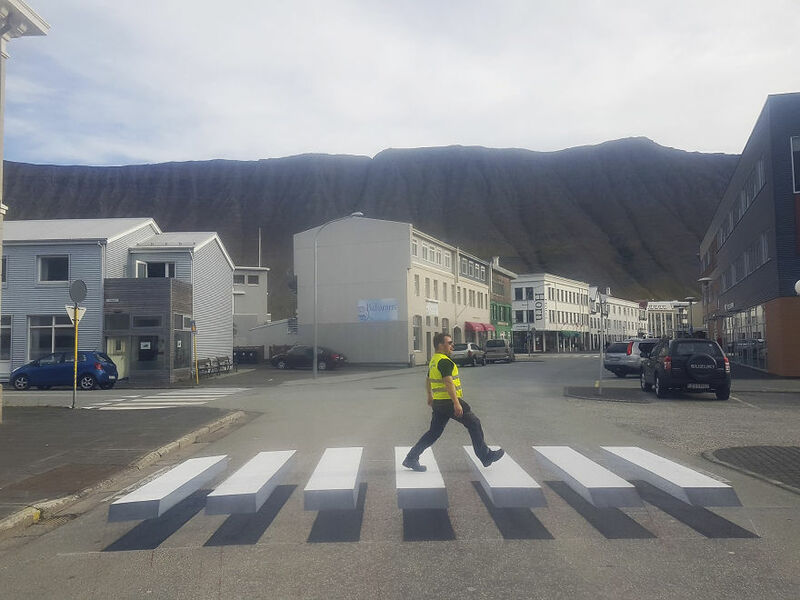 Not only does the innovative design give foot-travelers the feeling of walking on air, it also gets the attention of drivers, who will be sure to slow down their speed once they spot the seemingly floating ‘zebra stripes.’ Icelandic environmental commissioner Ralf Trylla called for its placement in Ísafjörður after seeing a similar project being carried out in New Delhi, India. 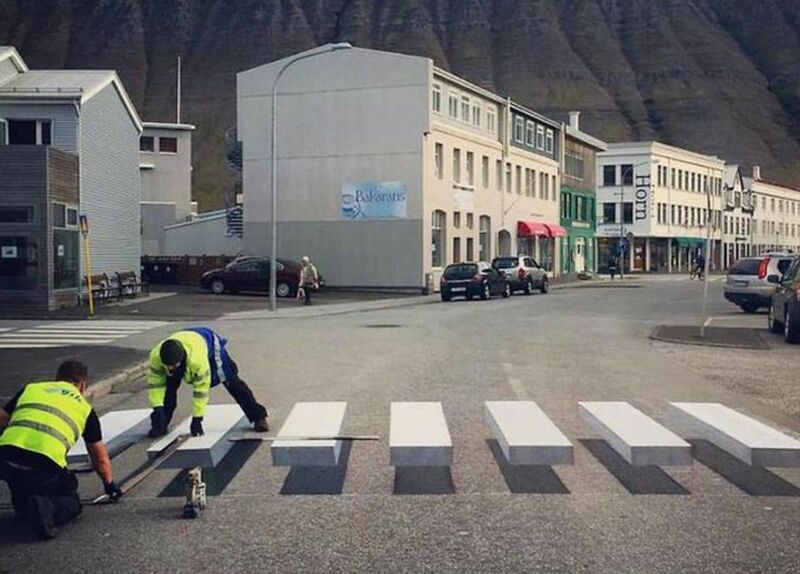 With the help of street painting company Vegmálun GÍH, his vision became a reality. 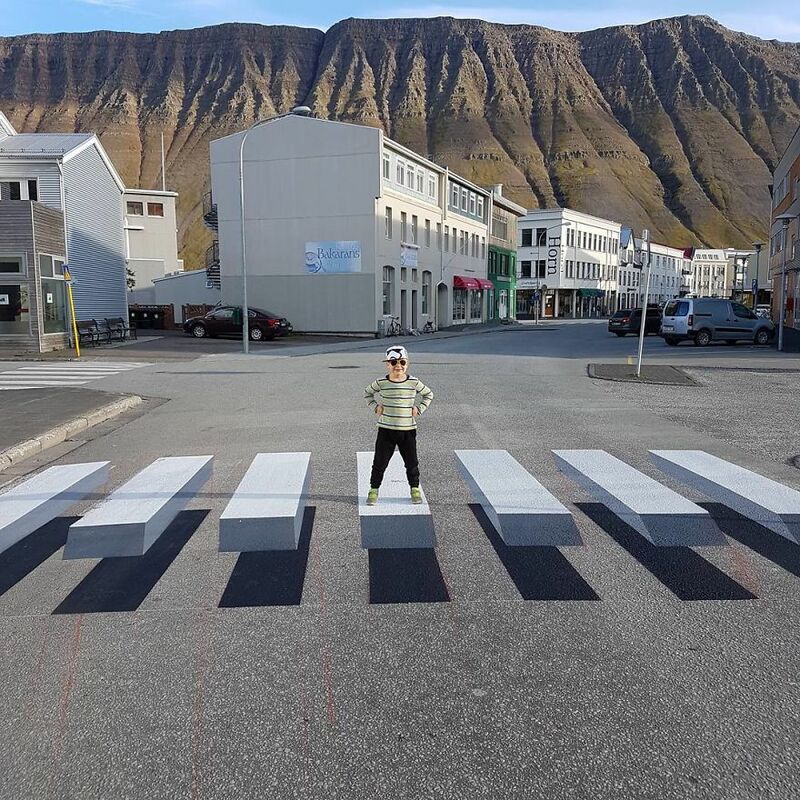 Scroll down to see photos of the fascinating installment taken by Ágúst G. Atlason of Gústi Productions, and let us know if you’d like to see one of these crosswalks in your own city.